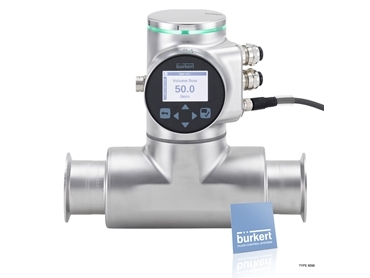 The Type 8098 flowmeter is part of the FLOWave product range. It is based on SAW (Surface Acoustic Waves) technology and is mainly designed for applications with the highest hygienic demands. This is achieved by using suitable stainless steel materials; a measuring tube free of any wetted parts except for the actual tube; the ideal outer hygienic design. 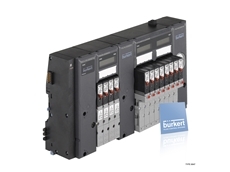 FLOWave offers a range of integrated functions, including the advantages of flexibility, ease of cleaning, compact dimensions, lightweight, easy installation and handling, and is compliant with numerous standards. 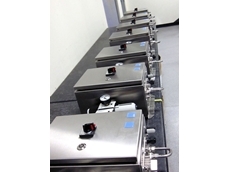 Optimal measurement results can be achieved with homogeneous, air and solid free liquids. 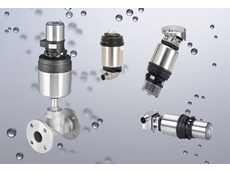 Integrated viscosity compensation can be used for higher viscous liquids. 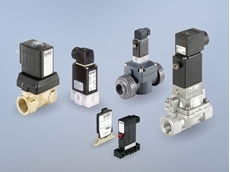 Gas and steam cannot be measured; however, their flow does not have any negative effect on the device or its operation. Other liquids flowing through again afterwards are measured correctly as before. Special functions derived from further process values (density factor, acoustic transmission factor) offer additional information about the particular liquid in use. 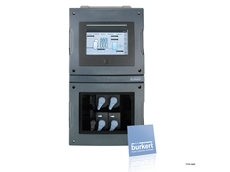 24/06/14 - Burkert Fluid Control Systems offers a versatile range of automation and control technologies designed for processes of all sizes. 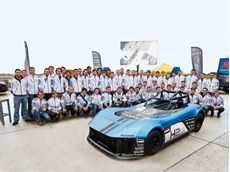 24/04/14 - Burkert supplied a fluid control system for the fuel cell stack of the hydrogen electric race car ‘Forze VI’. 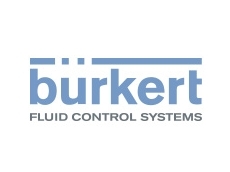 14/04/14 - Burkert Fluid Control Systems sheds some light on the correct selection of valves for use in any process control system. 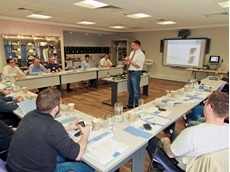 18/03/14 - The Bürkert Academy, a division of Burkert Fluid Control Systems has expanded its range of process industry courses for 2014. 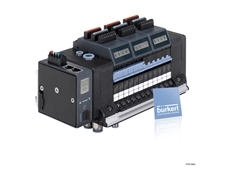 19/10/12 - Burkert Fluid Control Systems has extended the Element range of valves into larger-format valves and drives, with orifice up to DN50 and actuator to 130mm.